No matter what the movie — comedy, drama, harrowing action film, indie darling — you can bet some studio exec desperately wants the movie poster to be nothing but the two stars’ smiling faces. As a moviegoer, I find this lazy and uninspiring, and as an artist I find it infuriating, but as somebody living in LA, at least I get to see it hundreds of times a day. The bus bench with Ben Stiller and Eddie Murphy’s faces on a kinda puke-yellow background doesn’t make me want to exactly run out and see TOWER HEIST, is all I’m saying. Notice how in YEAR ONE, because you can’t see their caveman costumes Jack Black and Michael Cera both just sorta look dirty. Yawn. If you’ve seen THE SAVAGES, hopefully you are impressed by the way the poster actually tells the whole story of the film. Of course, not that many people saw THE SAVAGES, and really none of these movies did any business, which doesn’t exactly make the case for artistic movie posters. But then, the movies from the first group weren’t exactly JAWS, either, so maybe that just underscores the point that marketing movies is pretty hard, unless it has “Harry Potter” in the title. 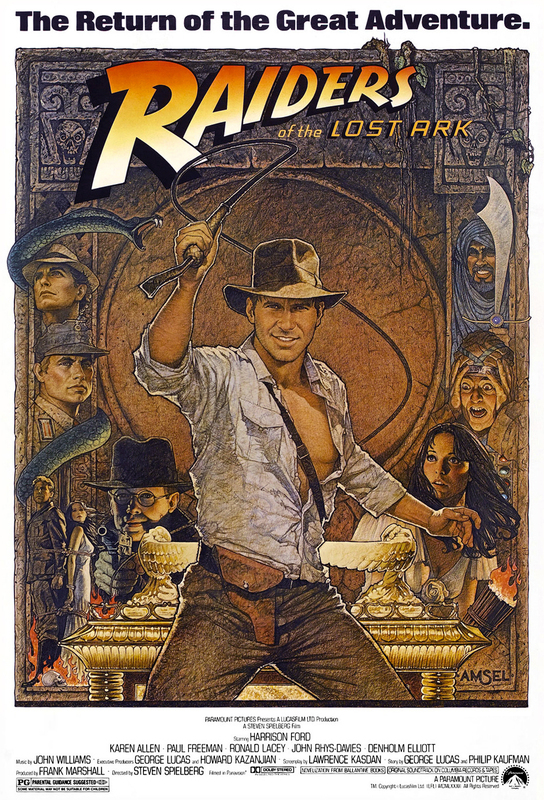 For a lot of people, Richard Amsel’s re-release poster for RAIDERS OF THE LOST ARK is the standard-bearer and high-water mark for movie poster artistry, and Drew Struzan (BACK TO THE FUTURE trilogy, STAR WARS) carried that mantel forward (here’s a Time Magazine piece on him), but these days a lot of designers are having fun with reimagining classic movies with new posters, some of the best of which are being done by Mondo out of Austin (where I used to live, so, full disclosure). They have done many, many posters and they are stunning, but perhaps my favorite is their minimalist HUD poster, which, if you’ve seen the movie, manages to be clever, poignant, and a little heartbreaking. And because I have to, here is Amsel’s RAIDERS poster. 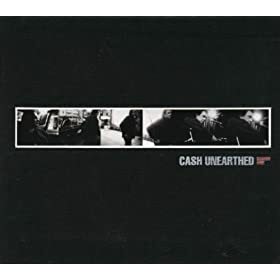 Johnny Cash told it like it was and didn’t mess around, so I’ll get to the point: the 5-disc Unearthed boxed set is an epic statement that in many ways sums up Johnny Cash. If you don’t have it, and you know who Johnny Cash was, you should probably go buy it. These days, it’s only available as a download, but that’s cool. Without this collection, I wouldn’t be playing the music I’m playing now. I got it, and felt I immediately had to learn about half the songs on the first and third discs. Focusing like that on learning guitar music changed me from a drummer who knew a few chords and maybe wrote a song every couple of years, and into a guitarist who writes songs. I don’t think we realized when listening to the American albums produced by Rick Rubin after Columbia Records dropped Cash that what we were hearing was just a sliver of light visible through a half-opened door. Unearthed was what lay in the room beyond. As country music changed, Columbia pushed Cash toward a bigger sound, with string arrangements and horn sections, and a production style that Rick Rubin then came along and stripped away. Johnny Cash was a storyteller with what’s been called the voice of a Biblical prophet, and anything that got in the way of that voice telling the stories it wanted to tell, had to go. This gave rise to American Recordings, Unchained, Solitary Man, and The Man Comes Around. Not included on those albums were the songs that would make up the four essential discs of Unearthed. The songs on Disc 5 were culled from the official albums. I could write about the Kristofferson songs he covers, or the new takes on old songs that were originally over-produced, or the duets, but what else do you need beyond that quote? So thanks, Johnny. And thanks Rick Rubin for the vision that made this collection, and all of the American releases a reality.